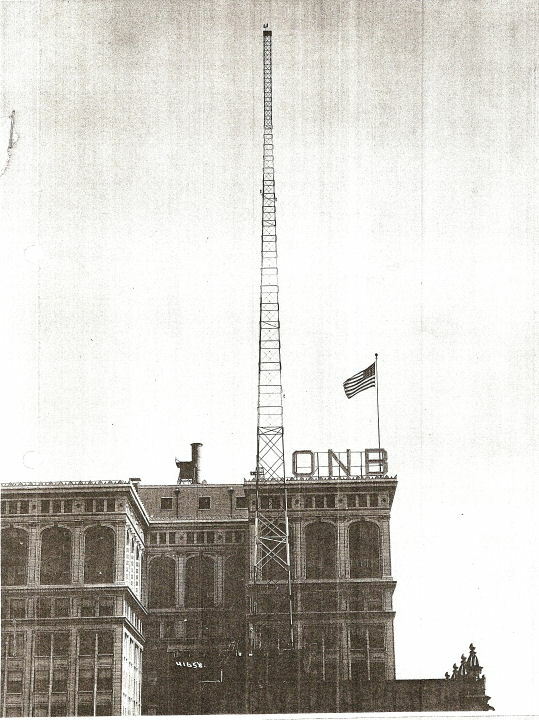 From 1934 to 1952, KFIO used the rooftop of the Sherwood Building, 510 West Riverside Avenue, to mount the antenna system. 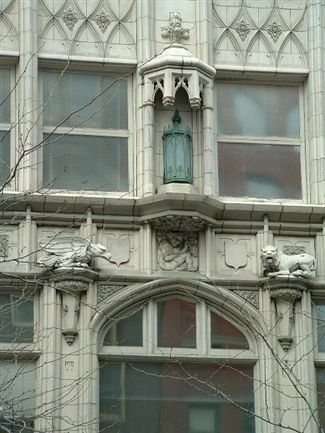 At the same time, the station used the Fidelity-Ziegler Building, 526 West Riverside Avenue, to house the transmitter as well as its studios and offices. 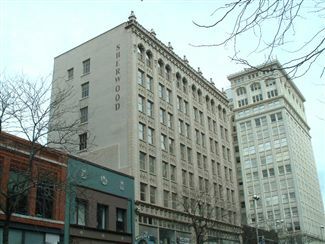 The Fidelity-Ziegler Building was razed in 1952. KFIO, at this site, had two transmitter plants. The original one was a 100-watt composite broadcasting transmitter and an inverted "L" antenna and was used from 1935 to 1941. The second one featured a 250-watt transmitter and a self-supporting antenna and was used from 1941 to 1952. The descriptions of both transmitter plants are below. 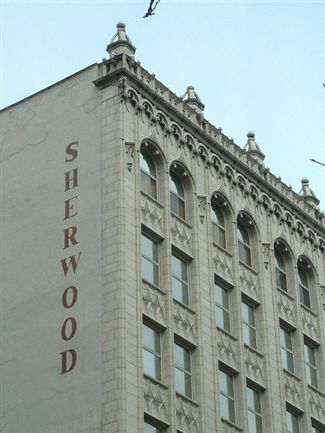 KFIO's first transmitter plant at the Sherwood Building was licensed for use from 7 May 1935 to 25 March 1941. 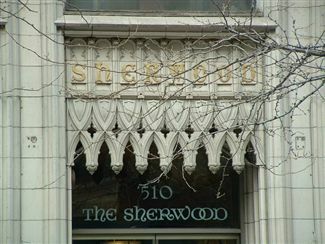 This transmitter was rebuilt in 1934 and was used a short time at the Pedicord Building before being installed in the Sherwood Building. The license records describe it as a composite broadcasting transmitter with direct crystal control and rated the carrier output power at 100 watts. 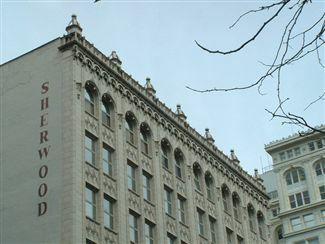 The antenna was an "L" type that was supported by two towers on the rooftop of the Sherwood Building. The towers were said to be 178-feet above the ground level, and the height of the towers above the rooftop was about 80 feet. The horizontal length of the antenna was 185 feet and the vertical lead-in was 80 feet. The ground system was described as 5,000 feet of ground shield copper clad cable. There are no known pictures or drawings of this set up. 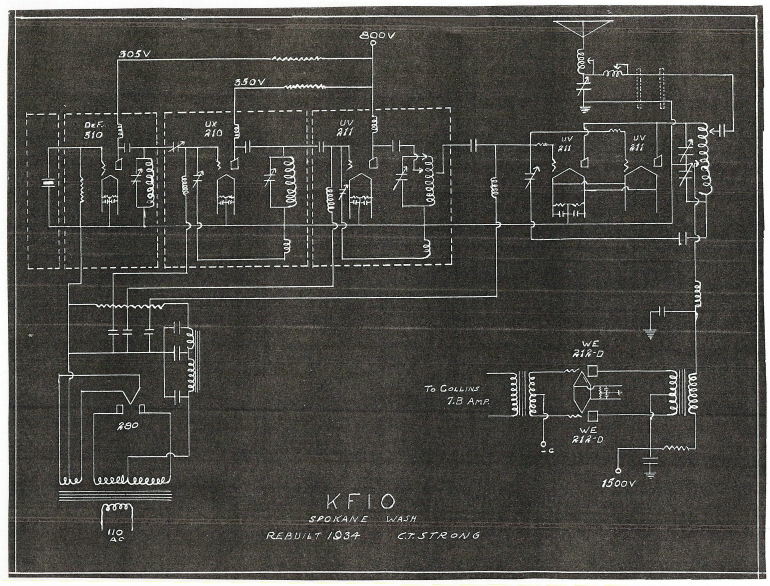 KFIO's second transmitter plant at the Sherwood Building was licensed for use from 26 March 1941 to early 1952. The author was able to locate one photograph of this tower in the National Archives. You can see a thumbnail of this photograph to the left. Click on it for a larger image. The transmitter was an RCA type 250-K with direct crystal control and high level modulation. The antenna was a 150 foot tall series-fed tower and topped out at 248 feet above the street level. 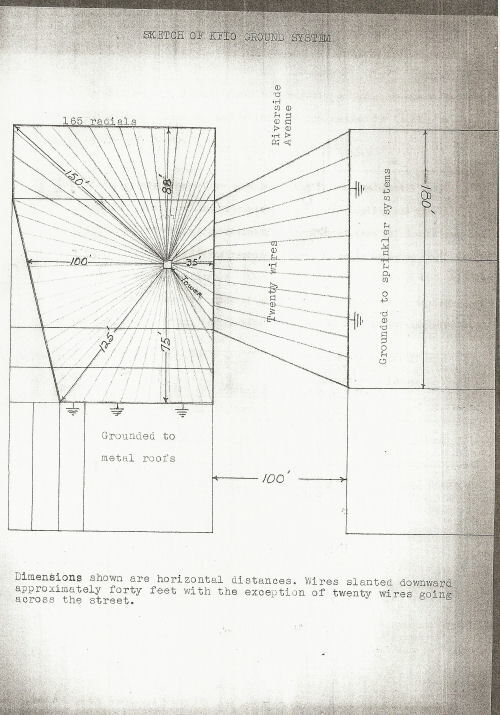 The ground system consisted of 165 radials about the tower. The center was grounded to a copper pipe and to a sprinkler system. The ground radials were attached to nearby buildings, including twenty wires which crossed Riverside Avenue. 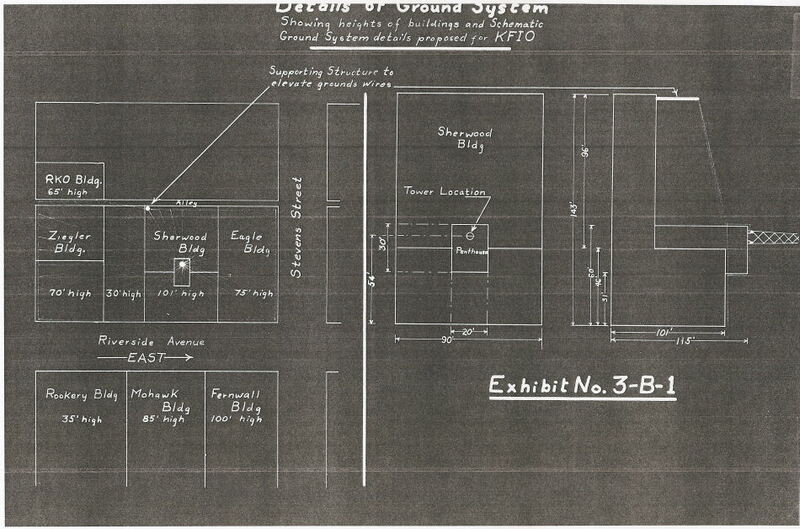 For details of the proposed ground system see the diagrams below. Schematic of the transmitter first used at this site. KFIO Radio Broadcast Construction Permit. Federal Communication Commission. Washington, DC. KFIO Radio Station Licenses. Federal Communications Commission. Washington, DC. "Neck Craners Eye Tower Dismantling." Spokane Chronicle. Spokane, Washington. 27 February 1952. Page 3. "Smith Sells KFIO to Louis Wasmer." Spokane Chronicle. Spokane, Washington. 24 January 1950.